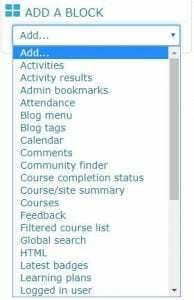 Moodle is comprised of various sections and blocks. When editing is on, instructors have the ability to add additional blocks to their courses. Adding Blocks to your course can provide easy access to certain processes, notifications, or information. 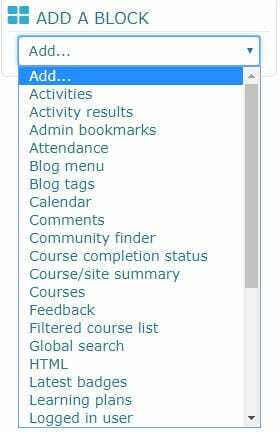 Blocks add content to the sides of the course page, rather than the middle content area, keeping the course content area clear of extra clutter. Follow instructions to configure desired Block.